In early November, I made my third trek of the year into the hills of central Pennsylvania to visit Jim Doyle at his nursery Nature’s Way in Harrisburg, PA. The topic of the day’s workshop was Literati Bonsai. Even if there wasn’t a forest worth of amazing bonsai material in Jim’s garden just waiting to inspire and seduce, the topic alone was enough to compel me to endure yet another 20 hour day to make the pilgrimage. The drive to Nature’s Way takes about 5-1/2 hours so at 3:30 Saturday morning I was on the road speeding thru the darkness. Upon arrival I was treated to the warm surprise of finding two friends from the CBC already there! Anne H and Valerie T had shared in my excitement to study literati and were making a weekend trip out of it. Their own impressions and responses to the session will be shared within as well. So, what is it about the literati style (also known as bunjin) that is so broadly captivating and admired? I think the reason that literati is so engaging has to do with the dichotomy of the style. How does something sparse and subtle exude grace and elegance while at the same time express the enduring struggle to survive? It’s difficult to imagine this in other forms. The literati aesthetic is undeniably feminine. What would the human equivalent be? A beautiful woman in an evening gown free-climbing up a cliffside? Dramatic for sure, but the spectacle would feel out of place and awkward. Yet, in tree form, it’s an enchanting and contemplative experience. It manages to evoke such meaning and emotion from so sparse a form. It finds power in its minimalism. A thunderous silence – it says a lot with so little. Perhaps that’s why many professionals consider it the most difficult style of bonsai to pull off successfully. 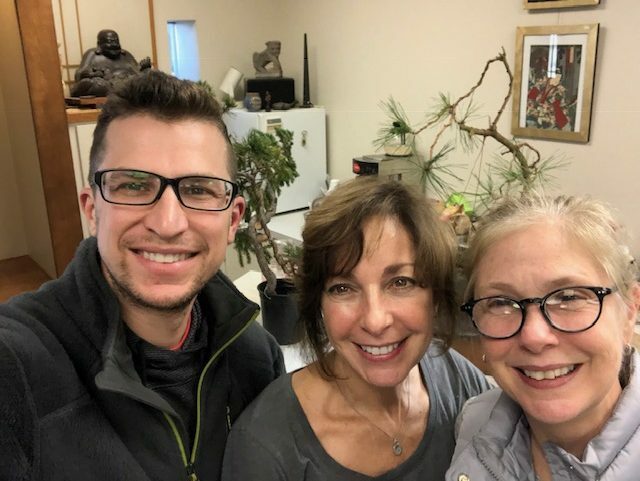 Jim led the group in a soft-spoken and meditative flow as we spent the first two hours of the session reflecting and discussing on the essence and form of literati style bonsai, as well as its history. We all had our chance to describe the style in words, in feelings, and in movements. We twisted and stretched our bodies to transform ourselves into the literati form. We became ballet dancers, mountain streams, and flowing water. These mental exercises and explorations were a necessity to reorient our mind’s eye to the style itself, before even considering the material we would be working with. 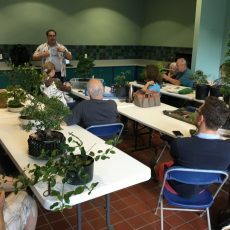 Jim had curated an assortment of different species of trees for each participant to choose, study and design as part of this workshop experience. In collaborated with Jim and with each other we worked well into the afternoon. 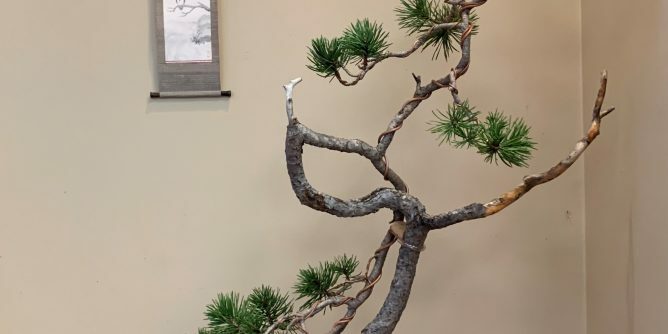 As each tree was “finished,” it was moved to the display area and the whole group paused to discuss and appreciate the other’s work. “Jim Doyle teaches through guidance, pulling one’s inner resources to light. I have been thinking on the meaning of literati bonsai ever since. It was instructive to each have different species to work on, thinking of the different growth habits of each to incorporate in our designs.” – Anne H.
“I enjoyed the fact that we spent a good deal of time thinking about our interpretations of literati – what it means to us using descriptors unrelated to trees – and how we interpret the style with body language as well! 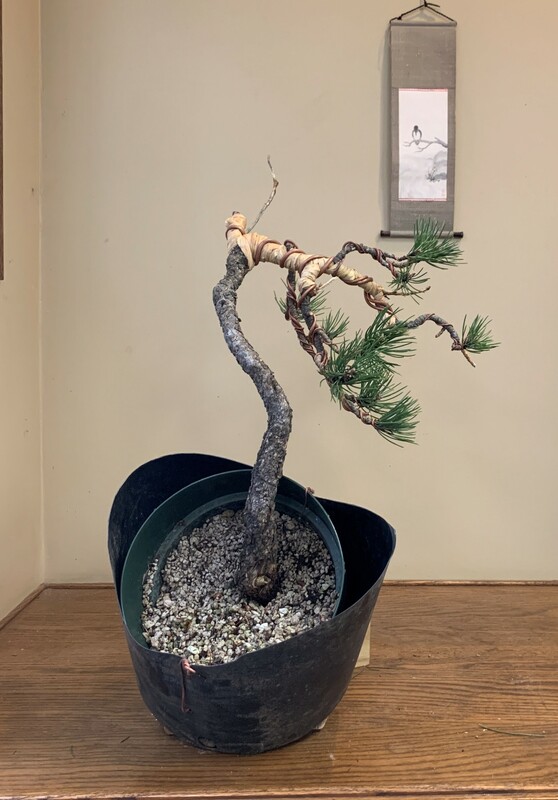 Such a welcoming group and I thoroughly enjoyed exploring Jim’s nursery!” – Valerie T.
Upon completion I couldn’t resist perusing the inventory at Nature’s Way and found another spruce to add to my collection which I felt had potential to become a literati in the future. I can’t recommend a visit to Jim’s nursery strongly enough. 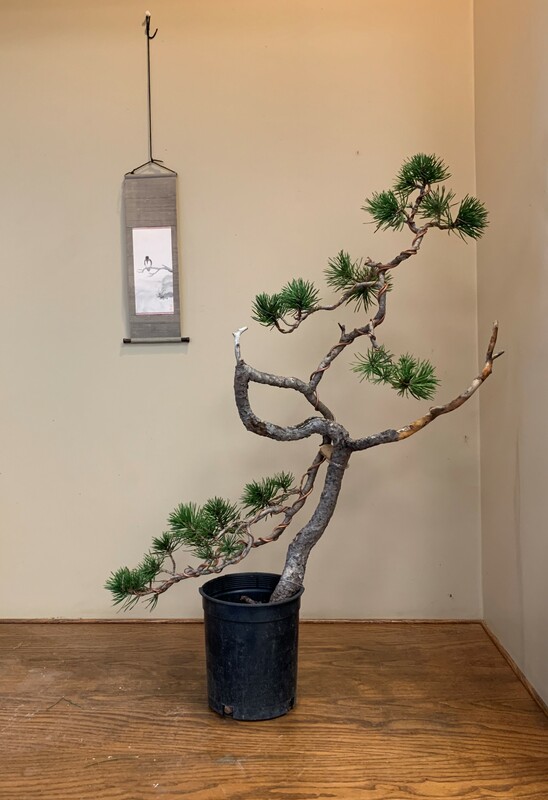 Considering that most of the prime collected material comes from out west, we’re fortunate to have a venue in a neighboring state that offers a great variety of premium American yamadori in all price ranges. 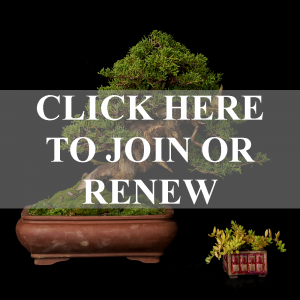 Jim also gave us a preview of workshops he will be offering in the coming year, including visits from bonsai professionals like Bjorn Bjorholm and Walter Pall. After thanking Jim for the great workshop and saying my goodbyes, I loaded my new trees in the car and headed for home. 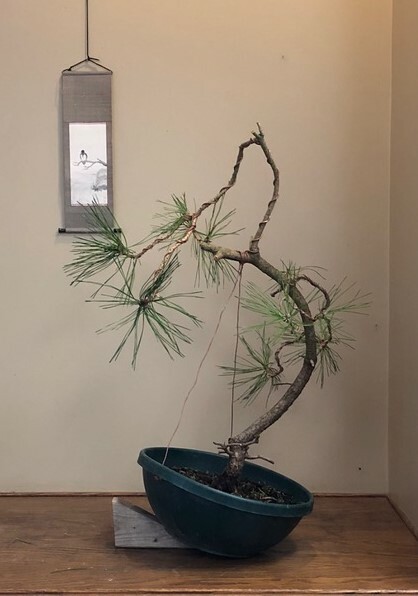 But not without a bonus stop about an hour from Harrisburg to meet with a fellow bonsai artist and purchase yet another new spruce from him. Apparently, I have some kind of spruce addiction!